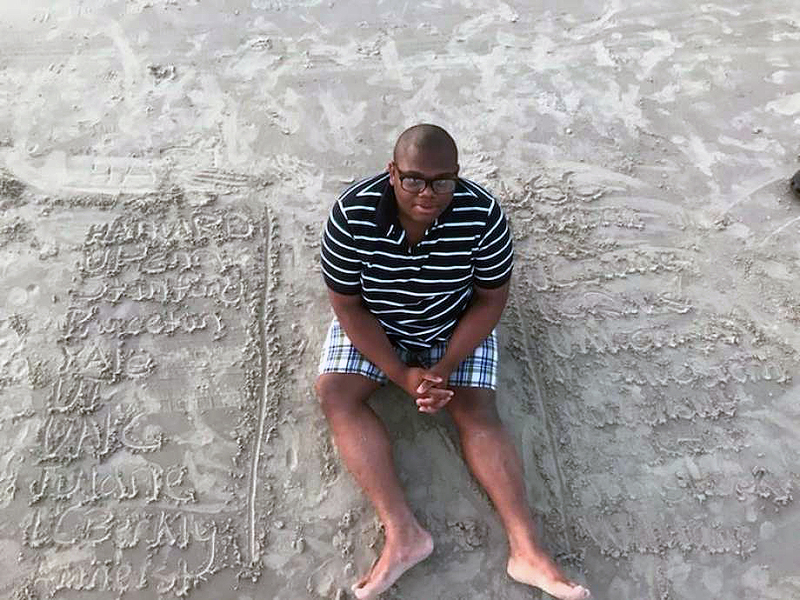 You might have seen the news about Micheal Brown, the high school senior from Houston who was recently accepted to all 20 colleges he applied to, receiving full scholarships (and then some) to each. What an accomplishment! 1) What’s it like getting accepted to all 20 colleges you applied to? Describe the feeling. It’s really amazing to get into all 20 colleges. I applied to 20 in part because I wasn’t sure what type of school I wanted to go to, and also because I wanted to have options. I didn’t even really think that I would get into all of the schools until I got my last acceptance. The idea of it did creep up once or twice in the second half of March, but I still thought it was a long shot. Any acceptance brings relief and excitement… now it’s just a feeling of accomplishment and of hard work paying off. 2) Which was more fun: the first acceptance or the last? I would say that Stanford was the most fun acceptance because all of my best friends were there, but Stanford was technically my third decision. Out of the first and the last decision, the last acceptance was the most fun. It was just me and my mom, opening Harvard. Not only did it complete my sweep, it also had a gif embedded in the letter, which was great. 3) Your mom and teachers have said you took charge of your own education from a young age, but which teachers, mentors, or programs stick out as being instrumental along the way? Although I do think I was very self-motivated in my educational process, my motivation was anchored by programs like Breakthrough Houston, EMERGE HISD, USC Bovard Scholars, and QuestBridge. There are so many organizations that are dedicated to increasing access to education, and I was fortunate to find some great ones. I’ve had such amazing teachers, counselors, and mentors. In particular, Mr. Morris and Raj from Breakthrough; Mr. Clark and Mr. Chambers from EMERGE; Mr. Lawrence from T.H. Rogers, Mr. Huffman from Lanier, Ms. Ling from Lamar, Ms. Pitre from Lamar, Mrs. Blair from Lamar, and Mr. Brahm contributed deeply to my education. And there are so many more; all of my teachers believed in me and encouraged me to reach for the stars. 4) What advice do you have for other students of color trying to succeed in school and go on to college? Reach for the stars! Don’t be afraid to reach out to people and programs that have resources that they want to give to you. Don’t let anyone define your achievements or take away anything from you; you have earned everything that you get. Just work hard and it will pay off. 5) Inquiring minds want to know: Where are you going to school next year? I’m not sure where I’m gonna go next year. I’ve informed 13 of the colleges that I won’t be attending so a waitlist student can be accepted. I’ve whittled down my list to UPenn, Princeton, Northwestern, Stanford, Harvard, Georgetown, and Yale — in no particular order. I’ll spend the next month visiting schools to find the best fit for me. I have until May 1, so I’m trying to be as informed as possible and not rush the decision. Fall 2018 Update: Micheal Brown is currently a freshman at Stanford University. Are you a motivated student from an underserved area of Houston? Click here to learn more about Breakthrough Houston’s summer, school year, and college-bound programs. Want to support motivated students like Micheal? Click here to make a donation. Every dollar helps!